Medieval Silkwork: "Paper patterns of Saints"
"Shortly after the death of Seigneur Gregoris Lommelyns on the 24th of August 1569, an anonymous clerck of the town of Bruges made an assessment of his possessions at the request of the deceased’s widow lady Adriaene Hercke. In their large house in the Hoogstraat near the Molenbrug, several rooms contained objects related to the making of needlework and sewing. 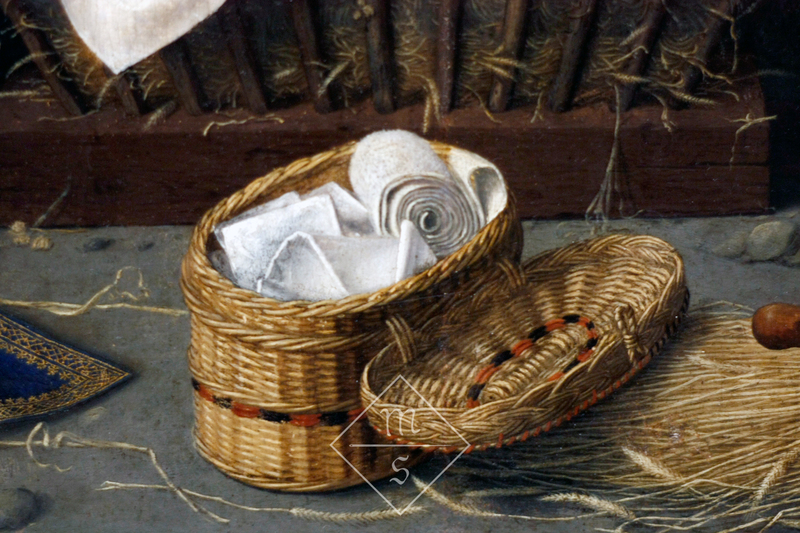 In the hallway or vloer (literally: floor) of Gregoris’ and Adriaene’s house, the clerk noticed two naeymandekens (sewing baskets). 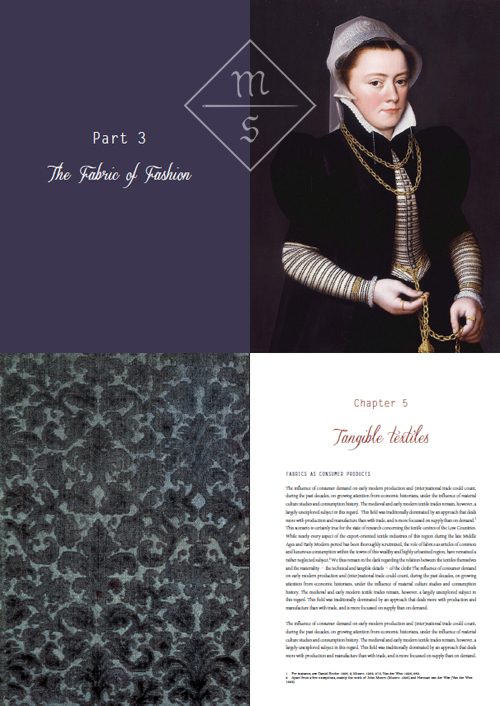 In the next room, inside a garderobe or wardrobe, he found all sorts of embroidered household textiles, such as embroidered table cloths, embroidered curtains of green silk and three embroidered rabatten. Among these there was also one unfinished piece of embroidery: a crown of thorns on a ground of satin fabric. In the same wardrobe there were embroidered as well as unembroidered silk huves or coifs and a number of reels of silk for knitting, or more likely, knotting huves or coifs (the Middle Dutch word used is breyen, which today means to knit). 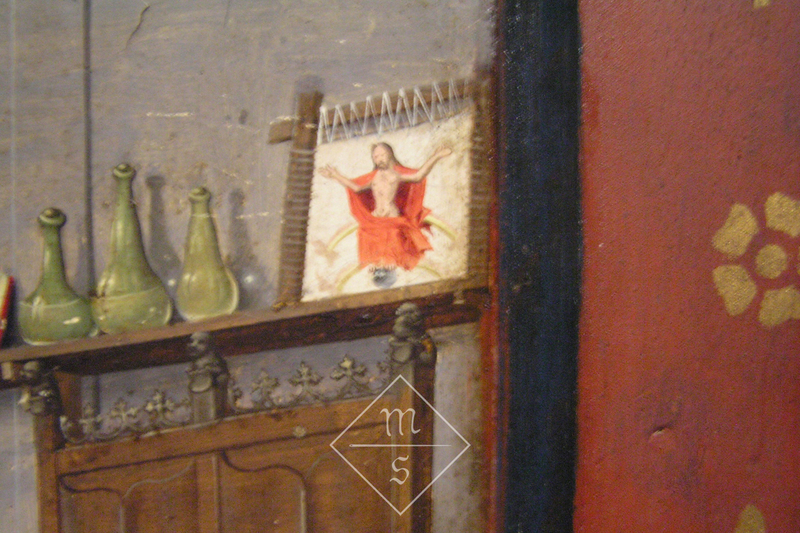 In the eetcamere or dining room there were four papieren pateroonen van senten (paper patterns of saints). Although little is known about the use of premade patterns in embroidery, this practice is confirmed by a dispute between the painters and the illuminators over the right to make drawn and painted designs on paper for the tapestry weavers and the embroiderers (and clearly also for wealthy women such as Adriaene, who embroidered as a pass-time or perhaps even as a source of supplementary income)." Probate inventory of Gregoris Lommelyns (1569), Stadsarchief Brugge (Bruges Municipal Archives), Staten van Goed, 2nd series, 15059. Rabat = A narrow strip of fabric above a pleated curtain or a pleated strip along the top of a mantlepiece. Original quote: ‘Al tghuent dies met pincheelen of borstelen ghemaect ende ghewrocht wort up papier, tzy patronen dienende den ambochte vanden lechwerckers, borduerwerckers (…)’ Gilliodts-van Severen: 1905, 517. Hello Isis. I found your blog a few days ago and have now read every post. I am a complete textile junkie and have gobbled up the writing, photos and stories of your creations. I look forward to reading more and to seeing the blue and pink dress come to fruition. Thank you!